I am one of the lucky ones. Over the past two years, I’ve been able to drive a Rolls-Royce Wraith more than a handful of times. At the car’s North American launch in Phoenix, again in Sea Island, Georgia and I’ve even enjoyed time in the passenger seat while lapping Circuit of the America’s with one of the world’s top race drivers, Timo Glock. But what I haven’t been able to do is live with one for a few days and use it as an everyday car. 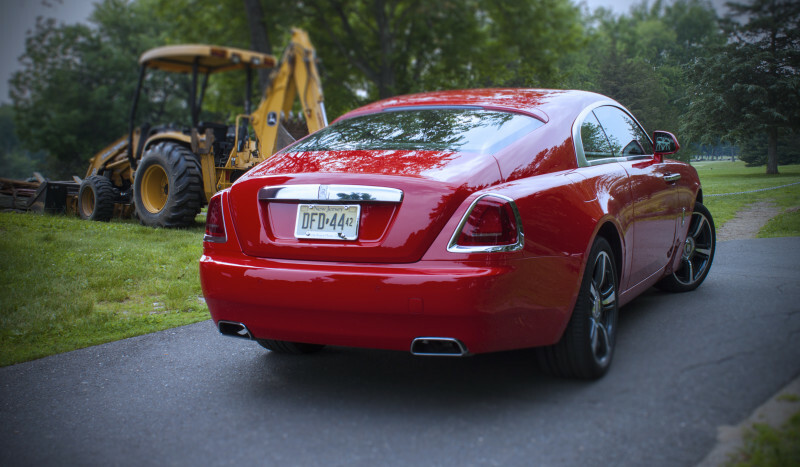 That is until recently when I picked up this gorgeous St. James Red Wraith at Rolls-Royce American Headquarters in New Jersey and used it as I would any other car for during a long weekend in New York metro area. 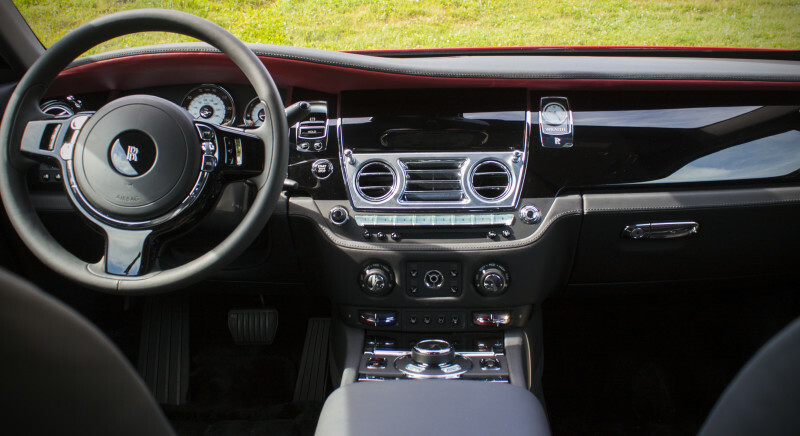 Rolls-Royce introduced the Wraith to the U.S. in November of 2013 in an effort to attract younger buyers who, for the most part, have recently come into money – think tech sector entrepreneurs, business owners, high-end real estate brokers, professional athletes and musicians. The strategy seems to be working as Rolls-Royce had a record year in 2014 selling over 4,000 cars and is on pace for another great year in 2015. While Rolls doesn’t report sales by model, it’s clear that Wraith is a big portion of that success. And, having spent four days with one in one of Rolls-Royce’s most important markets, I can understand why. The Wraith is everything a Rolls-Royce should be and something they’ve never been all at the same time. Like all Rolls-Royce motor cars, Wraith is luxurious, elegant, impeccably crafted and powerful. Every inch of this car exudes opulence in a way that no one – not Mercedes’ Maybach, not Bentley, not Aston Martin – comes close to matching. You feel it in the weight of the doors, the supple touch of the leather, the gloss of the piano black wood trim, the perfect resistance and feel of all the knobs and switches. Everything in this car from the custom designed sound system, to the modified interface for BMW’s iDrive system is built around the brand’s dedication to luxury and simplicity. 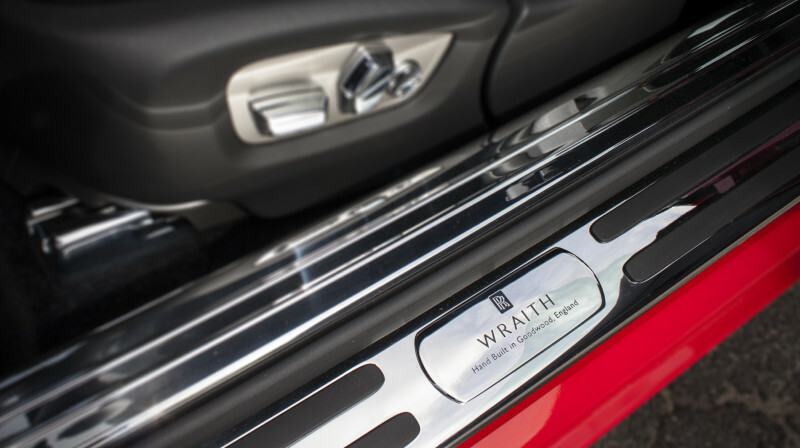 But Wraith, especially this brilliant red model, is something more than just luxurious. Walking up to this fastback coupe, you can just feel the car’s energy. The long sloping hood. The sporty interpretation of the classic Rolls-Royce signature grille. The massive wheels and tires. They let you know this car was designed to be driven. Not quietly around the park or from your estate to the country club, but rather this is a Rolls-Royce that you can power through the long sweeping corners on the Hudson River Parkway. It’s a Rolls you can attack the a winding back road with. It’s a Rolls you can take on the interstate and cruise all day long at triple digit speeds – if only the law would allow it. Wraith is a driver’s car. It’s also a car that’s a lot of fun to live with. 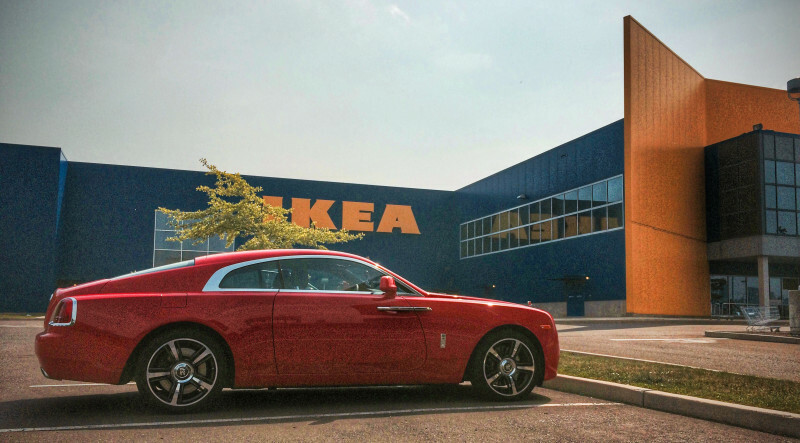 My first errand in this crimson coupe was a trip from Rolls’ American offices in New Jersey into New York’s Greenwich Village to visit friends and grab a quick lunch. 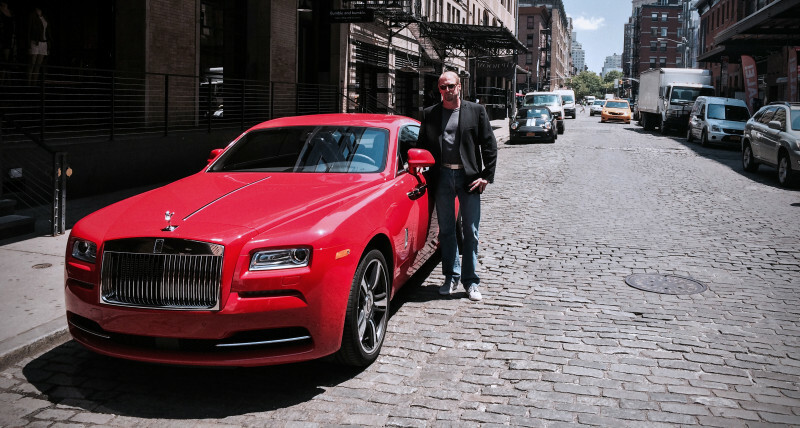 As you can imagine, the Wraith garnered its share of stares as I drove through the narrow streets of lower Manhattan. But interestingly these stares were more often than not accompanied by smiles, waves and whistles as people appreciated a Rolls-Royce that clearly was less formal than their preconceptions of the marque. And while New York City roads are notoriously rough, the suspension with its self-leveling air springs and electronic variable damping control makes the imperfections disappear. Even over the Greenwich Village cobblestones, the Rolls was smooth and quiet, like floating on air. In a city like New York, the Wraith is surprisingly easy to park as long as you’ve got a decent sized bill for the valet. Restauranteurs love having this car parked in front of their establishment so it’s right there when you need to make your getaway after you dine. One of the features you really appreciate when you do park and walk away from the car is the retractable Spirit of Ecstasy grille ornament. She’s a beautiful, hand-made work of art and she automatically disappears from felonious hands when you park the car and lock the doors. After lunch it was up the West Side Highway and off to Connecticut for a few days. While the Wraith is a very fine city car, this is where it started to separate itself from other cars sporting the Spirit of Ecstasy. Ghost and Phantom are cars built primarily for the passenger. Wraith is designed for the driver. The power comes on effortlessly thanks to the 624 horsepower V12. It handles the twists and turns with an easy grace. No, it’s not a BMW M car with flat cornering dynamics, but the optional 21-inch tires dig in and the car settles down nicely as the corner progresses. The steering is light but offers excellent on-center feel to prevent the car from wandering on the straights. And when you’re flinging the car through a series of S-curves, you are in complete control of the substantial weight transfer. Unlike two-door, four-place coupes from Bentley and Aston Martin, the Wraith is a true four-seater. There’s more than enough room in the rear for two adults over 6 feet tall to ride comfortably for extended trips. And the trunk is nothing short of cavernous. Off the highway and in the quaint Connecticut villages, the Wraith drives as easily as it attracts a crowd. Once you get used to the long hood, parking – both parallel and otherwise – are a snap. The 360º surround camera certainly helps, especially seeing around the massive c-pillars. The car’s turning radius isn’t as wide as you’d imagine and the coach doors are easy to get in and out of. But I tended to stay away from the tighter spots not wanting to give anyone the opportunity to chip the deep red paint and ding the doors. I’m guessing most owners would do the same and find a few empty spaces to create a buffer zone from other vehicles. What it all boils down to is this. 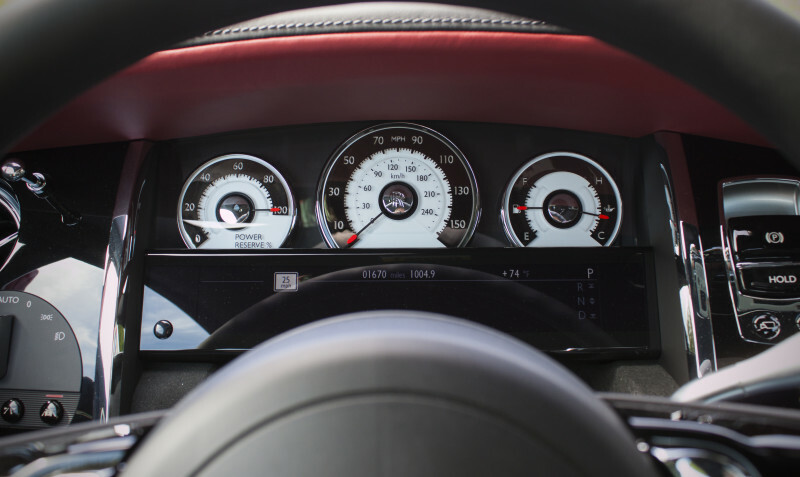 The Wraith is not just quiet and comfortable with that signature Rolls-Royce “magic carpet” ride. It’s also a car that’s fun to drive. And if you told me tomorrow that I had to drive from New York to Los Angeles, this is the car I would choose without any hesitation. You just have to be prepared for the stares of awe and envy that come when you’re behind the wheel – and have $377,475 in the bank if you want one like this.